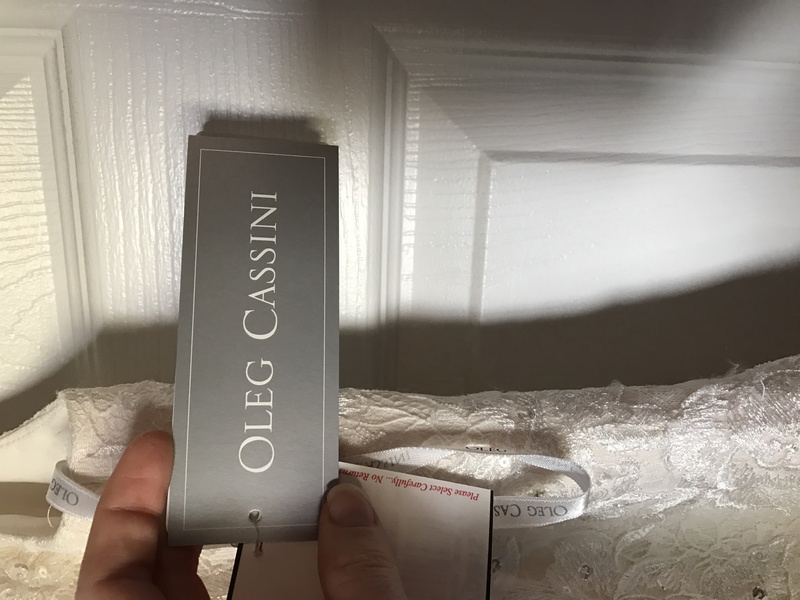 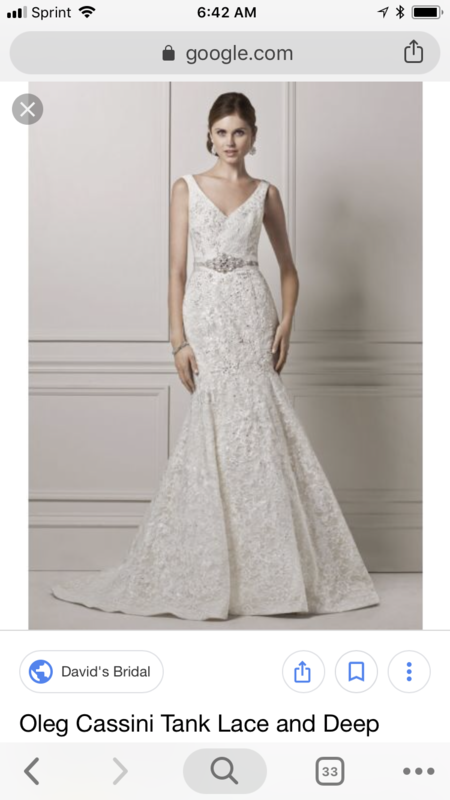 Oleg Cassini style CWG621. 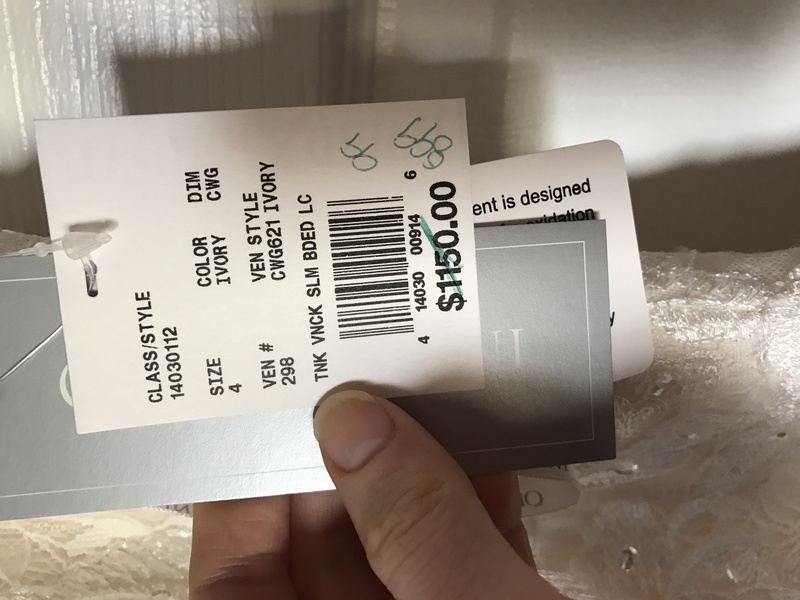 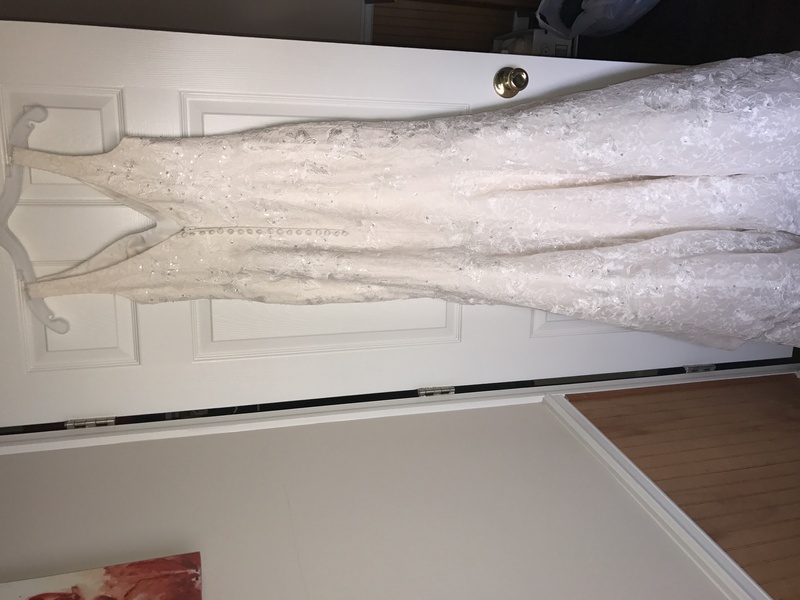 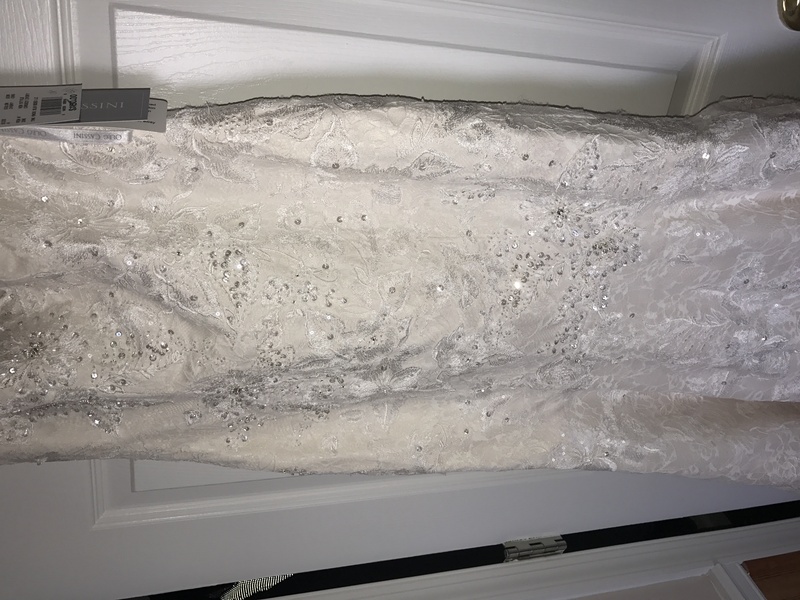 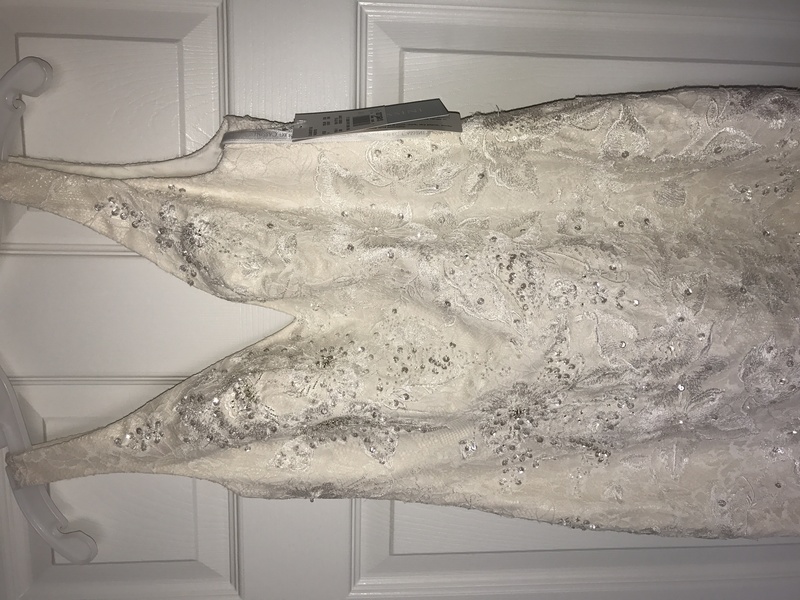 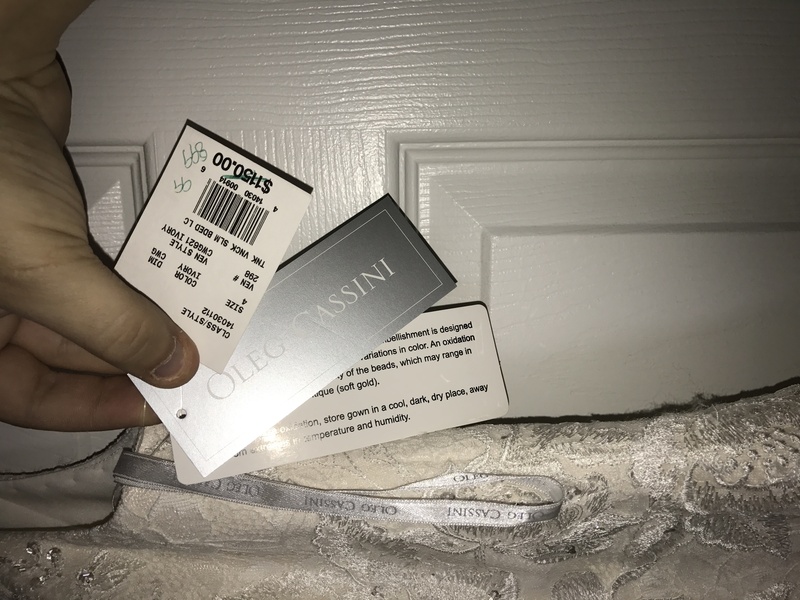 Never worn or altered, fit and flare wedding gown in a size 4, purchased for $900 with original tags still on it. 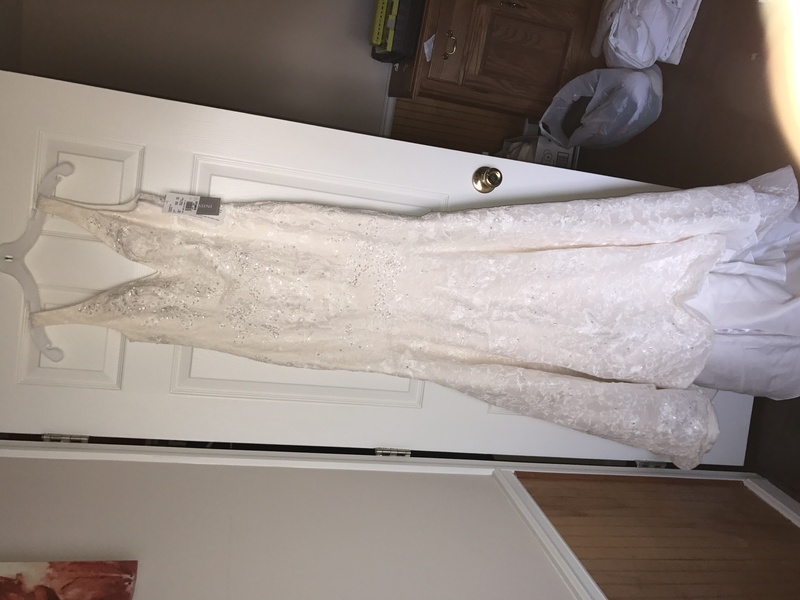 Dress was purchased at David?s Bridal. 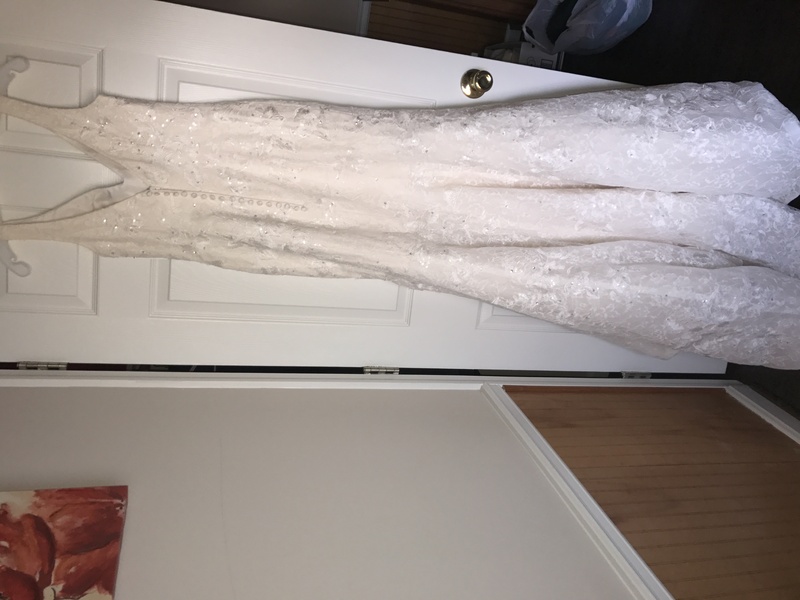 Looking for $700 or best offer! 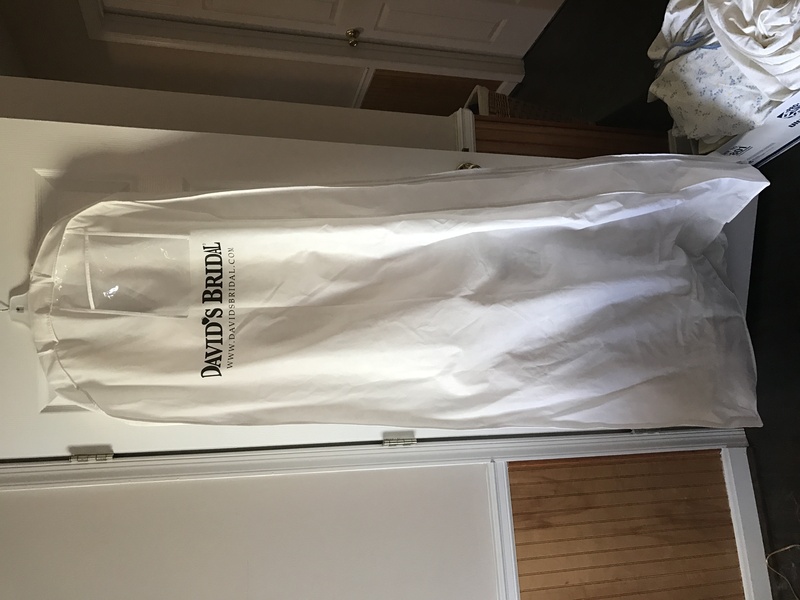 Preservation Method: Dress is enclosed in original garment bag from David?s Bridal.